In the third episode of the SHP Safety Talks, Professor Tim Marsh, Managing Director at Anker & Marsh Safety and Honorary Professor, Plymouth University, explains how an individual can cause a violation and what happens when they do. Eventually though, someone will get hurt. The SHP Safety Talks are a series of small thought pieces designed to get you thinking, whist perhaps sipping your morning coffee. 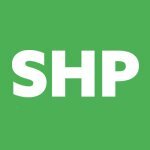 The SHPonline editorial team have invited key individuals from the safety world to deliver these mini-lectures, and you can expect only the most insightful, challenging and engaging threads. If you agree or disagree with Tim’s thoughts then let us know in the comments below and we can keep the conversation going. VIDEO: Culture and ABC Analysis – SHP Safety Talks with Professor Tim Marsh In the third episode of the SHP Safety Talks, Professor Tim Marsh explains what happens how an individual can cause a violation. Many thanks for the kind comment Mark. Obviously I agree with your observation and these clips a explicit attempt to help make the default setting ‘proactive/ mindful’ rather than (merely) compliance and control based.